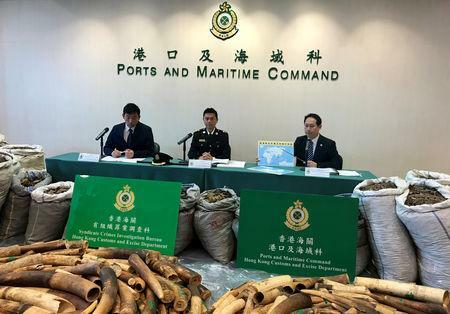 Ivory tusks and pangolin scales seized by Hong Kong Customs are seen at a news conference in Hong Kong, China, February 1, 2019. REUTERS/Stringer NO RESALES. NO ARCHIVE. 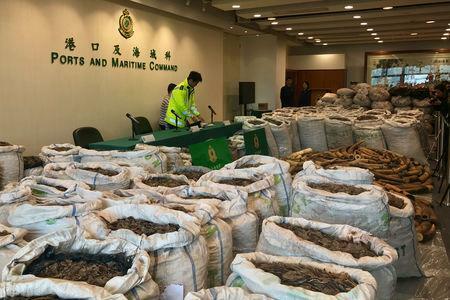 HONG KONG (Reuters) - Hong Kong customs busted a massive endangered species smuggling operation from Africa, seizing a record quantity of pangolin scales along with more than 1,000 ivory tusks, as authorities step up the fight against illegal wildlife trafficking. 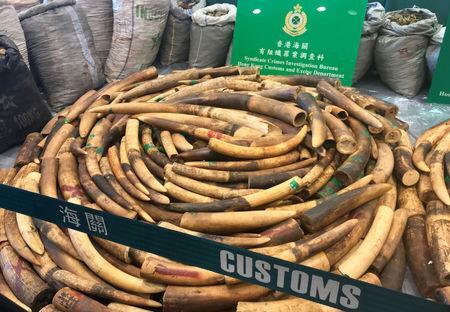 Doing so would provide "a powerful disincentive to wildlife criminals, and importantly, would prevent reinvestment of profits into further criminal activities," the report said.